Tigerair Australia is celebrating its 11th birthday today by offering Australians the opportunity to snap up great value airfares with the return of its ‘Pay to Go, Come Back for $1^’ sale. 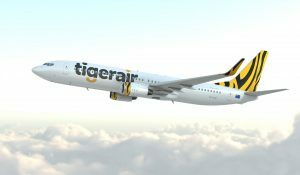 Airfares are available across Tigerair Australia’s 21 domestic routes, with the vast amount of travel between 30 April – 4 July 2019. To grab a bargain, simply purchase an airfare to your destination of choice and get in quick to secure a $1 return flight. “We are proud of the role we continue to play in providing strong competition and great value airfares in Australia,” she said. The ‘Pay to Go, Come Back for $1’ sale commences at midday AEDT today and runs until midday AEDT Friday 23 November (or until seats are sold out). Tigerair Australia also accepts ZIP Pay so you can fly now and pay later*.